Everyone in the City of Jing thinks that bestowment of marriage between Xian Junwang and the daughter of the Yi’an Marquis House is to insert a fresh flower into manure. It is said that what is heard is false, seeing is believing. Who knows what the truth really is? I started reading this because some compared it to the other novel that I liked, To Be A Virtuous Wife. I’m glad I read it because they really have some similarities. I love the couples and the story’s progress. The similarity between this novel and "To be a virtuous wife" is stunning. Anyone who enjoys TBAVW would absolutely enjoy this one. Contrary to the translator, despite reading TBAVW first, I actually like this novel a bit more hehe. As a side note, I don't think the English title for the novel is quite correct. 八宝妆 Isn't referring to a trousseau. This really supposed to be something like "The eight treasure dowry". This isn't up in the story until the second last chapter, when she presents it to the male lead. It has a specific meaning within the story for the protagonist and represents the central theme of the story. However, you are not told of it until you finish reading the story basically. This is no impact on the story itself. For those who are not familiar with TBAVW. 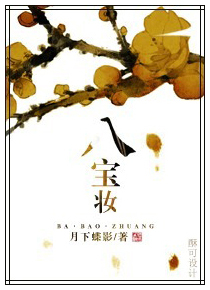 This novel is a Chinese historical political drama with royalties contending for the crown. The plots and schemes within this story tenders to be more realistic than some of it's novel counterparts. Readers are expected to enjoy the characters and their roles in a particular troubled and contentious time within the universe, rather than be in awe at the greatness and brilliance of the protagonists and their abilities. The Transmigration (more so reincarnation) in this story is mainly used to explain the protagonist's personality and ideals which doesn't not conform to the moral and ethics within the novel universe, while playing no other roles. The protagonist in this story is one of the more unique one that I've read. She's basically my hero, with her attitude and choice of lifestyle. Definitely the best part of the novel itself. Being able to live the lifestyle that she wants, while showing occasional brilliance when needed to stay safe and protect the ones she cares about. The story written well and the pace just right--It's not draggy nor it's too fast. Normally, I'm pretty lenient when giving out ratings and reviews. However, I just find this novel to be pretty Boring. Yes, Boring. It seems that majority of the reviewers here gave out reviews and ratings because this is a 'TBAVW 2.0' as they like to say, but really, with the current pace, I had a hard time liking this novel. I read plenty of novels, whether it be Chinese, Korean, Japanese and others. I also don't categorize the word 'Boring' because of this novel's lack of action. I find it Boring because hell,... more>> there is mostly nothing happening in the 'Dialogue' department. The Author just like to explain things and write 'This Happened', 'That Happened', and then the Dialogues were even cut short. Another thing was, there is almost No Hype at all. I guess I would've liked this novel if I didn't read novels like Chu Wang Fei, or maybe even Demon Wang's Golden Favorite Fei. But ultimately, even though I love Lazy Main Characters (aka The Lazy King), I am quite disappointed that the story became dragging in the end. There is Almost No Chemistry with the Female MC and the Male Lead. It's like, ok, they kissed, and yeah, they had s*x. But there is often a dead air when those two get together. - The premise is similar: a woman from the modern entertainment industry is reincarnated in the body of a new wife in a country similar to Ancient China. - The tone and pacing are similar since it is the same author and translators. - The main character's personality is far more casual and laid-back than in TBAVW. She's lazy, less firey, and also is an extremely rare... more>> "calamitous beauty." - You can enjoy this series without reading TBAVW first. However, I would recommend starting with that, since it's already complete and this one has just started. - The translation quality of Dreams of Jianghu is great as usual. However, as usual, there's a lot of Chinese vocabulary used in the beginning that can make it a challenging read for readers new to this sort of Chinese light novel. - Overall, this series looks promising and isn't a clone of TBAVW (yet). Give it a try if you like stories focused on female main characters in the fu and imperial court. This is my favorite novel after To be a Virtuous wife. Dreams of Jianghu really knows how to pick treasures among those numerous novels. I read novels with almost/ the same genre and I still find the two novels (ETT, TBAVW) highly favorable with its stable flow of story and high quality of characters, plot and theme. I really love that HXW is an intelligent woman whom one should not underestimate albeit that she always does not care about anything but eating and sleeping. She is from a loving family and does not have to fight concubines which is in contrast of TBAVW. Though It seems to be bit lacking with the ending (atleast for me), the story is still worth reading for. Even though at times I didn't understand the implications each move a character made, this novel is very well thought-out in terms of characterization and in plot. If I had to describe one word for this novel, "complex" would be it. Nothing is simple, everyone has a hidden dagger hiding up their sleeves. Overall a great read. Thank you translators for all your hard work and your blunt comments. They helped sometimes when I didn't understand what happened in chapters. This is a great, slow-paced palace intrigue. The cast is comparatively small but very inter-connected, and no day goes by without plenty of scheming. Hua Xi Wan, the protagonist, "actively tries to be passive", i.e. she's smart but lazy and wants nothing to do with the scheming, but of course things aren't that simple. In fact, it could be said that for most of the story, and with some notable exceptions, the protagonist is just an observer of all the scheming, and her strength lies in not being pulled in... until... more>> it invariably happens, from time to time. With that said, the story isn't told exclusively from her perspective, but devotes plenty of time to the other schemers (characters), as well. The protagonist has an almost completely superfluous reincarnation background, but at least her modern values contrast nicely with her reality of being reborn as a noble lady in an ancient China with typical ancient hyper-patriarchical values (of the "men rule, women bear children" variety). Her background as an actress, at least, results in plenty of comedy when she repeatedly internally praises all the members of the nobility for acting outraged or distressed whenever something bad happens. Overall, this is a slow-paced but intriguing story, with a heavy touch of romance. It's certainly action-light but scheming-heavy, so I recommend only reading this story if this genre focus sounds appealing to you. I really liked reading this so far, but probably not for the reasons I expected to. Usually when I read novels with transmigration and these types of court intrigue, I expect a really outgoing and determined lead. Definitely not what I got so far. Actually, the author seems to enjoy pointing out how lazy the MC is. This story is so full of little details that you need to pay attention to, to understand the overarching events. In many cases, many of the starting appearances of affection that the ML has... more>> for the MC are pretty unclear. They can actually be identified as carefully calculated moves on the ML's part if the reader so chooses, rather than real affection. He is definitely a very good actor, ambitious and hiding a darker personality. So as someone who enjoys questioning and taking note of these little details, I had fun puzzling out the meanings for actions between the characters. A bit on the dry side. Not so much for the plot, but because of the romance. There's plenty of political conspiracies, and social backstabbing play, but the romance was a bit lacking. Female lead is a transmigrated soul who used to be an actor of all things in modern times. After transmigration, basically all she does is sleep and eat. Of course, she is so beautiful that it doesn't really matter that she has a sloth like personality. Throughout it all, the female lead is not only super smart, but... more>> she has uber martial skills. Most of which is barely used at all, as she prefers to just sleep and eat all day. It's a different change in pace from the usual OP female leads in other novels. However, her lazy personality makes the story drag because she has absolutely no interest in any of the events around or what her husband is doing. Not only that, she basically doesn't even show much emotion towards her own husband. Perhaps, the story would have benefited with another narrator, but the lack of interest in the machinations of politics causes me as reader to also feel ambivalent about the story plot or any other character as well. It isn't until maybe around the last chapters that the female starts to believe in love, but really it was just practically in a summary at the end. When the wonderful translators at Dreams of Jianghu said TBAVW 2.0, it really got me excited. The vibes that just the three chapters bring is quite impressive. It is definitely on par with TBAVW for now and the scenes are easily imagined. Once you're familiar with the terms, it's not that hard to get into. As another reviewer has mentioned, there has yet to be typical tropes common in historical, royalty romance such as scheming relatives, and horrible parents. Quite refreshing for now. I can't say too much within these... more>> 3 chapters but it's looking to be a fantastic read. I prefer this story compared to all the other 'time travel' or 'transmigration' novels- one of the biggest positives of this story is the fact that there is real character growth, making them seem less two-dimensional and therefore more realistic. One of the main examples is the portrayal of how the love blossoms between the main couple; unlike other novels, their love is realistic as the MC is loyal to her husband yet isn't blindly in love. In fact, she wasnt in love at all and often challenged the ML... more>> in several ways on his loyalty towards her. Although she was devastatingly beautiful and intelligent, the story developed with several challenges for her to face. Rather than being ruthless or extremely overpowered like other female protagonists, her attitude is unique and realistic while remaining amicable (other FL are cold and indifferent to everything which is unrealistic). Another advantage to this story is the fact that the story is applicable to real life standards- there is no fantasy aspect. Although it is set in a historical aspect and the female lead is 'from the future', she doesn't have a weird skill or anything; rather, she has a great mental fortitude and also makes good decisions. The ML is not too different in this aspect too. He may have a cold and ruthless attitude at some points, but it fits in with the plot as he is part of the Imperial Palace and has learned to survive in his own way. Nevertheless, this attitude of his isnt too overbearing and remains controlled while he puts of a facade for everyone else but his wife who he actually treats with care and respect right from the start, unlike other MLs. Here I go for my first review. I am really fond of this novel : no foolish harem plot, the MC still has her mother and a loving and strong family. So, we escape from the stereotype of "poor heroine, who is all alone, but who is so smart and talented (and cruel) that she can seize the power in her household and attract the typically arrogant and powerful male lead". In this case, the MC is smart but doesn't try to fight to gain power or prestige or whatever. Just to... more>> gain the upperhand when needed, and act according her status. The story has such a good flow, that almost everything seems really natural and the plot doesn't seem forced. Ahhh I LOVE Dream of Jianghu's translations. They are such high quality, and they pick such good stuff, too. The male lead in this one, however, I think is what makes Eight Treasures Trousseau different from TBAVW. Unlike TBAVW, where He Heng is sort of mysterious and yet basically not really, I think the author actually made a bigger effort to shroud Xian Junwang in more mystery. Still not sure what all is happening, but you can kind of get the idea. One of best ancient era Chinese novel. I adored this novel more than other ancient era novel. MC is kind, fiercer, clever and caring who love or care for her family and cousins. Unlike other MC, she isn't jealousy women nor do she care or love much for ml. She care her family more than ml. She is selfless kind women who protected her family and her people. I enjoying MC protected ml.